This recipe, by Koula Barydakis, has been on Mediterranean Living since 2013. It’s an absolute go-to recipe for us. Five years have gone by and we got our hands on an Instant Pot Cooker. Now this traditional recipe from Crete, that was already super simple to make, is even simpler! There was definitely some trial and error on getting the black-eyed peas to cook all the way through without being undercooked, or overcooked and mushy. We used fresh, dry black eyed peas and didn’t soak them overnight. It was also a challenge to get the right amount of liquid but we’ve got it! If you don’t have an Instant Pot, the original recipe is available here with a video to go along with it! Give this instant pot black eyed peas recipes a try. I think it will be a new favorite! Don’t cut back on the olive oil! 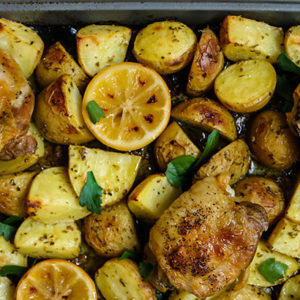 This dish needs a full cup of extra virgin olive oil or it won’t taste the same! Use fresh herbs, not dried. Follow the recipe instructions carefully in order to use the Instant Pot correctly. 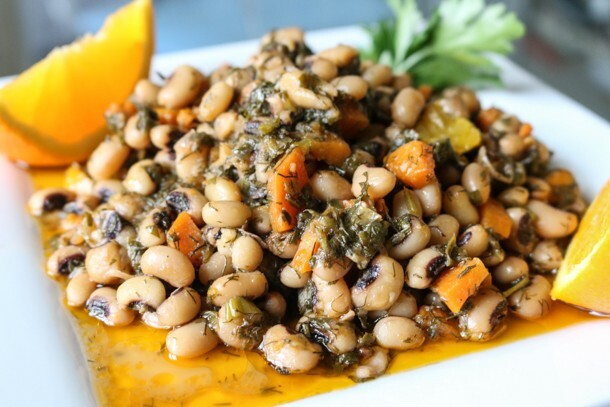 Black eyed peas are actually beans and, like other beans, they are high in protein and fiber. Black eyed peas, along with fresh dill and parsley are all known to help with digestion. If you are having any issues with constipation then this is definitely the recipe for you! If you want to turn this recipe into a 100% anti-inflammatory recipe, I omit the tomato paste and add 2 Tablespoons blackstrap molasses. Finally, if you are on a low sodium diet, this recipe is perfect as you can decide how much salt to add and you don’t need to add a lot because of the high flavor profile that comes from the orange slices, herbs and olive oil. Enjoy! Check out some of our other instant pot recipes below! Wash the dried black-eyed peas very well and pick out any stones. Add all of the ingredients to the Instant Pot. Stir very well. Put the top on the Instant Pot and lock in. IMPORTANT! Make sure the vent on top is set to "sealing". If it is set to "venting", it won't seal in the pressure. Press manual on your Instant Pot and set it to 25 minutes. Once you hear a beep and it shows "On", you can walk away and the Instant Pot does the rest! Looks good. Do you release the pressure when done or let it slow vent? 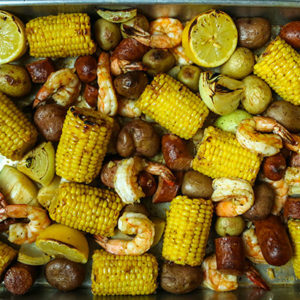 Any advice for how to make this if you are starting with pre-soaked Black Eyed Peas? I haven’t tried that because the Instant Pot can cook un-soaked beans. I haven’t seen the reason to soak them. So cooked this up tonight in the instant pot. I really enjoyed all the different flavors, this will be a dish that I will make often. Did you like the orange flavor? Thanks for commenting! I just tried this tonight and I think it’s going to be a go to recipe for me also. Wow!! One cup of olive oil works wonders. I bought two bunches of dill, which after stemming and chopping wasn’t nearly enough. Hopefully next time I make it I’ll do it more justice. Glad you loved it Kevin! The more herbs the better! 1 CUP of oil? You must be kidding! Without a cup of extra virgin olive oil, this dish wouldn’t be the same!